Creating memories that will last for a lifetime, James and Jen held their serene outdoor wedding at the Anantara The Palm Dubai. The skies were perfectly blue when the couple took their wedding vows and with the wonderfully beautiful Arabian waters of the Palm Jumeriah providing an excellent backdrop, the wedding went off without a hitch. The couple had invited a handful of friends and family members to make sure that their wedding was as romantic and cosy as it could get. Sunny Weather On the wedding day, the weather was super sunny as well as windy. Jen was well organized on her wedding day. She booked the wedding vendors well before the planned wedding date. She was not only very organized but she was radiant, expecting her wedding day to be one that would turn out to be truly special. The wedding turned out to be really significant for both bride and groom. From the people in attendance to the meals for dinner to the first breakfast shared by the newlyweds, everything was perfect. The couple looked very loving. After 4 years of courtship James finally proposed to Jen who accepted with a glad heart. Every marriage is a challenge and yet it is the most rewarding experience in the lives of every couple. Rather than looking for perfection in one another, the couple was very passionate about things they cared about. James complemented Jen on how beautiful she looked on this big day. James and Jen came together to be united and were accompanied by friends and family. The wedding was a grand affair with James and Jen making each other happy and promising to treasure each moment henceforth. The Anantara grounds were perfect for the wedding ceremony, celebratory dinner and party. The couple got to start their lives together as the sun set in the distance, the golden sands that make the coast of Palm Jumeriah a perfect place for a romantic union. Dining under the stars was a heavenly experience as the crystal-clear waters lapped from the pool of the resort. The grounds had a wonderful Thai inspiration. The location and everyone that attended to the couple along with the excellent cuisine all helped to make James and Jen’s wedding a truly special event. Family members and friends gathered around the newlyweds and everyone felt very honoured to have been a part of this very special wedding. The day went off amazingly well for everyone and the couple looked very radiant and happy, celebrating well into the night in their new life together. We wish them the very best for the future.  DUBAI WEDDING VIDEOGRAPHER – Morning Jacket Films. We tell love stories and we’d appreciate the opportunity to tell yours. We’re a team specializing in wedding videography in Dubai, and we’ve perfected the art of capturing the emotions at weddings on film. Having a professional and experienced videographer team, we’ve worked on weddings for British, European, Middle Eastern, New Zealand, Asian, African, and multi-national couples. We’re passionate about telling love stories and we’d be honored to tell yours.